As I have mentioned before, we are refusing to be beaten by the cold weather and have spent just as much time playing outside as ever recently. 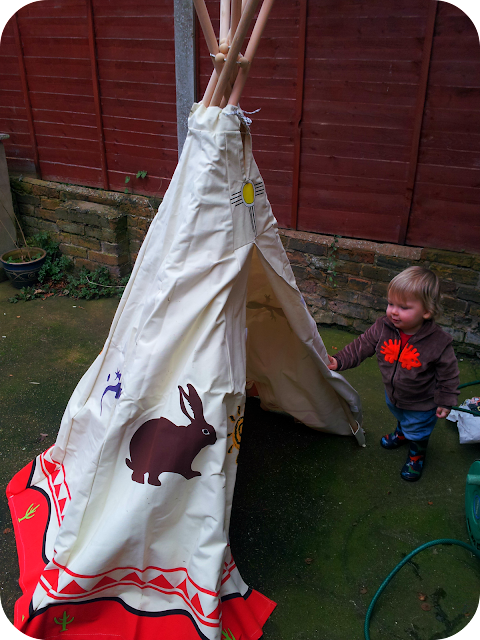 Playhouses have sent us a wigwam and with the move to a bigger house with a bigger garden it was perfect timing. In between bouts of rain or when we just need to let of steam, Dylan and I have been exploring our new garden and playing plenty of peekabo with our new tent. providing no storms are imminent, however as our garden is paved we decided to bring it in when it was not in use. 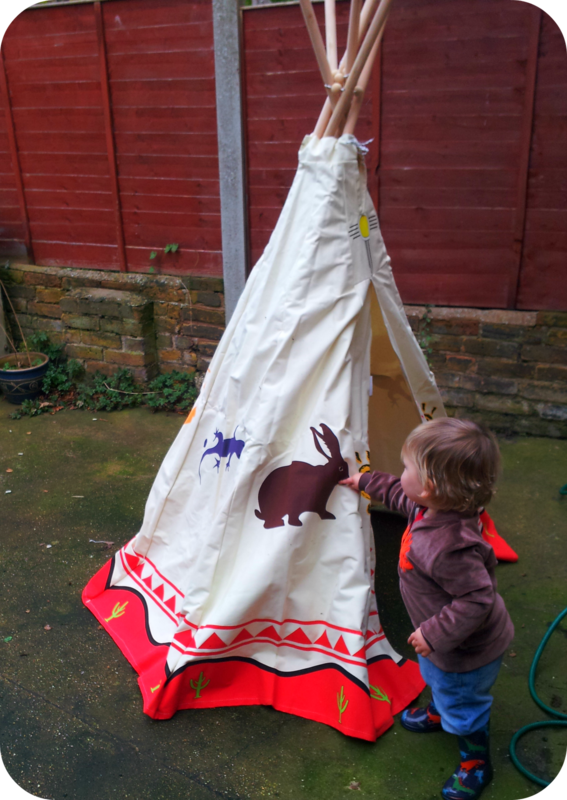 The wigwam is priced at £54.99 which I don't think is a bad price at all considering it is a long lasting garden toy that is great to play with in summer or winter and encourages plenty of imagination! As soon as I put it up, Dylan was excited and loved running all the way round, going in, coming out again and back round. 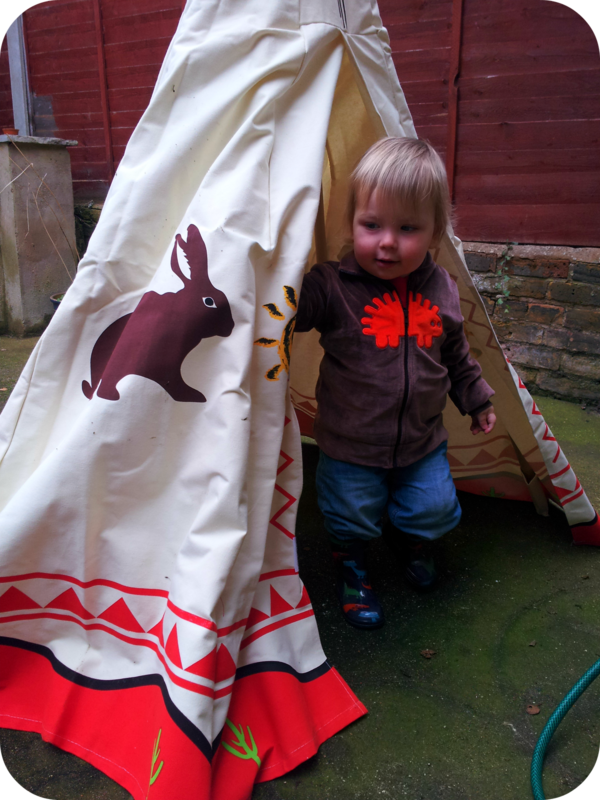 We played until it started properly raining and he loved being a little Indian chief. The material and build feels strong and like it will last although the fabric cover is not washable. Size wise, it is big enough for a toddler to stand and an adult to crouch inside which means there are plenty of games we can play together! Although we are enjoying it now I think it will be perfect in the summer to provide some shade and somewhere quiet for the little dude to sit when the heat gets too much for him. All in all we are very impressed with the WigWam and are having lots of autumn fun playing in our little garden now. 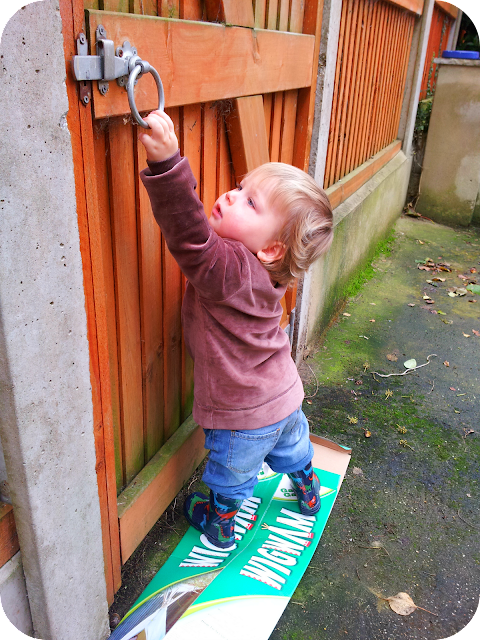 Dylan even found a great use for the box although luckily he didn't manage to get out the side gate! Do I spy Hatley dragon wellies?! I love Hatley.